Manual Switch between 110V and 220V Input. + / – 10% adjustable output voltage. DC Output: DC 12V , 0 ~ 20A. 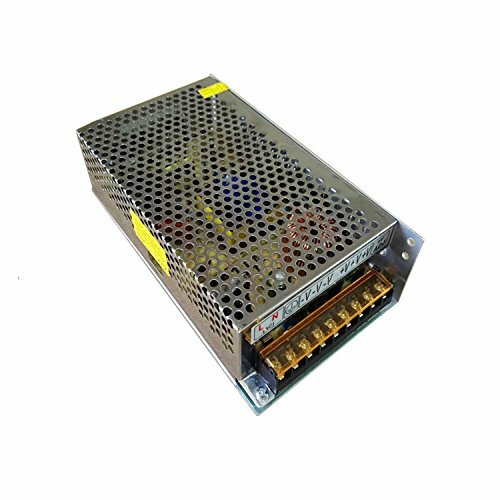 1.This Power Supply is only suitable for indoor use, non-detachable power shell. 2.External power supply round hole mesh heat vents, in the range of 50cm within the outlet Do not place other flammable items. 3.Don’t place other items in the product range of 5 cm, to ensure the powersupply with good thermal environment and safety. 4.Please accurately calculate the load power but not overload. Don’t touch the case during the power is working. 5.Do not short-circuit output if no output, please use off one minute re-energized. 6.Carefully verify the power link is correct, rigorous power lines reversed before use it. 7.Professional installation of qualified electrician is highly recommended. Holding up longer than original one.